SAVING FOR A RAINY DAY! 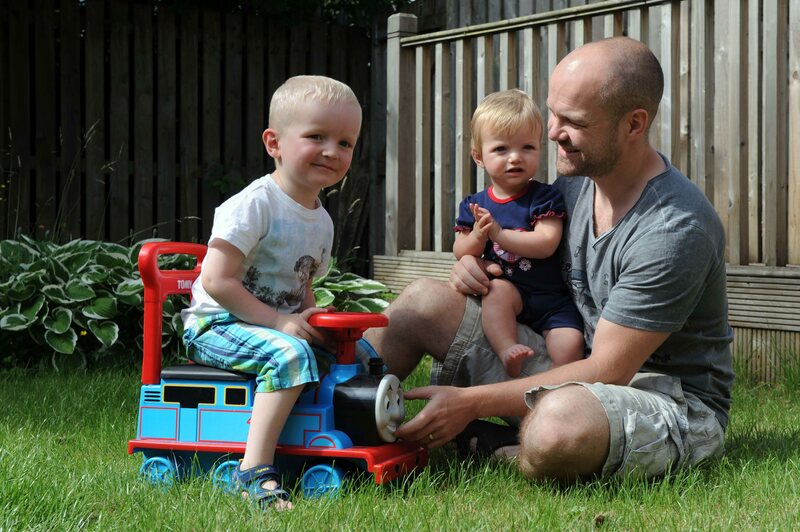 Me with my son and daughter in the garden. Well the heat wave here in the UK has been great and the photographer from the Herald was round to take pictures of me out in the sunshine with the my kids Arran and Sophie. Check out the article in the Herald below. When its hot it’s easy to forget you need to save for a rainy day even if it is a rubbish rate of interest you’ll get at the moment. I’ve just taken out a new 5 year fixed rate at 2.75% with Virgin Money which is pretty much the best out there. I’ve been with them for a while now mostly because they tend to be fairly upfront about when the ISA matures. Not great if you realize 6 months down the line you’ve been getting 0.05%! My shares have always been of the high/silly risk variety, but with the wee ones about, it’s maybe time to keep more of a low risk strategy with most savings! 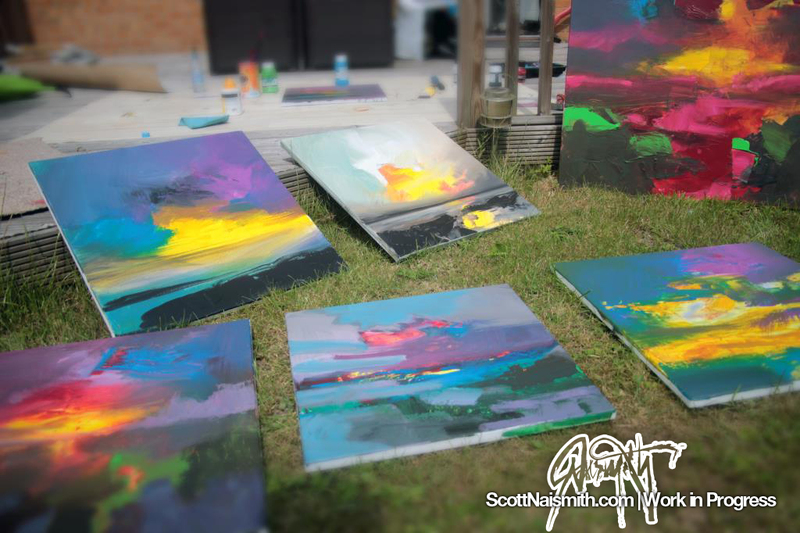 ANYWAY, back to matters of painting and I thought I’d share with you some more garden shots of me working on a few paintings outdoors. Ahhh much more space. With the sun beating down those acrylic paints were drying super fast so I made good use of my water diffuser skoosher thingmiebobber. These will be the acrylic underpainting for what will later be worked on with oils on top. Work in prodgress from the garden. Totally inspired by your emotionally charged paintings Scott. Wonderful paintings of our beautiful West of Scotland. After finding you on You Tube your work has inspired me to get creating again.